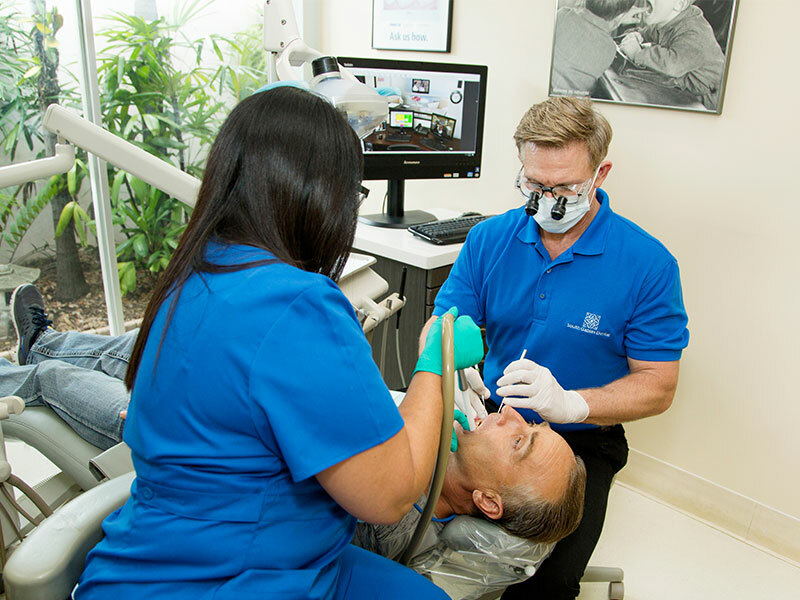 South Gables Dental, a dental practice located in Coral Gables, strives to provide best in class service and maintain a long relationship with you, the client. we do our best to ensure: on-time scheduling, painless payment processing, minimal paperwork, exceptional care, friendly service. On your first visit, our friendly hygienist will take digital x-rays using industry leading technology. The hygienist will then measure your gums to determine which type of cleaning is right for you. After your initial cleaning, Dr. Lesperance will sit down with you to review your records, examine your mouth, and take time to address any concerns he may have. We will go above and beyond to make your visit an exceptional one. If any additional dental treatment is needed, we will let you know our recommendations and accomedate you immediately in the majority of situations. This is a great benefit in that you will not have to make additional visits to our office and the problem is effectively and efficiently solved.